3-in-1 Foam Plyo Box, 20" x 24" x 30"
Foam version of our popular wooden 3-in-1 Plyo box. 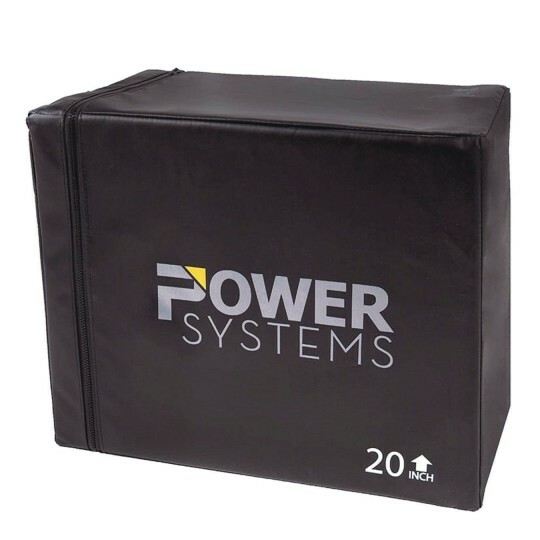 Solid, sturdy foam block is covered with a durable vinyl cover to minimize injury risk. Use turned on any of the three sides – 20”, 24” or 30”H. Heights are clearly marked. Features versatile design for use on 3 sides (20”, 24” or 30”). Heights are clearly marked. Sturdy, durable foam construction. Weighs 63 lbs.